"She was in desperate need of getting out of that place." 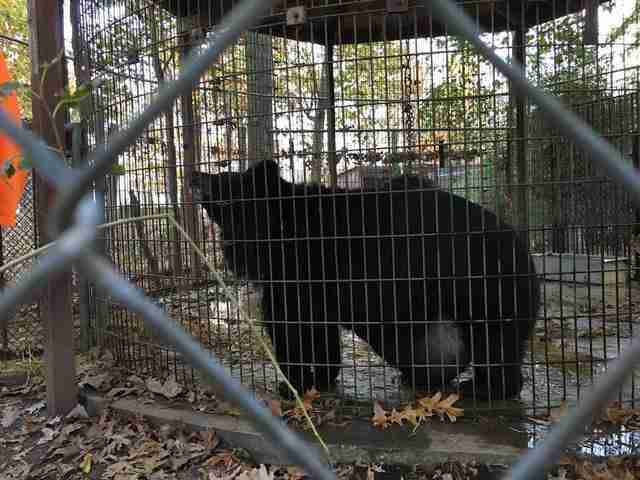 For 10 years, Lily the bear didn't have much to do besides pace her cage. And so she spent her days eating - and eating some more. 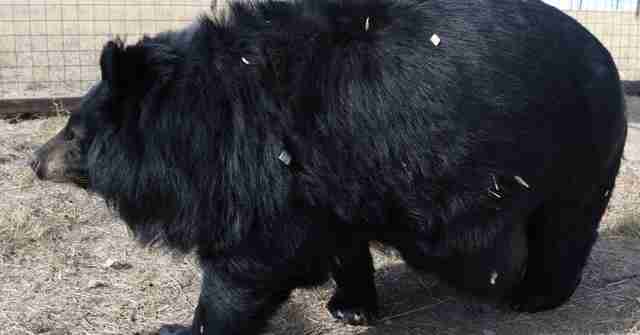 Lily, an Asiatic black bear, technically wasn't even living in a cage. She was kept on the concrete floor of a corn crib, a large container usually used to store corn for livestock, at Deer Haven Mini Zoo, a roadside zoo in Maryland. Lily had lived there since she was a cub. She had never been able to run or climb. Instead of a natural diet of foraged fruits, nuts and insects, she gorged herself on the grain she was given. And by the time she was 12, the neglect she faced had become apparent in her appearance. "She was morbidly obese," Brittany Peet, director of captive animal law enforcement at the PETA Foundation, told The Dodo. "She could take no more than a few steps in either direction - she was so obese that her stomach dragged on the floor of where she was kept." And while the hard concrete was already rough on her joints, it was made worse by infrequent cleaning - which meant she was surrounded by filth. "There was buildup of feces," Peet explained. "She couldn't lie down without soiling herself." 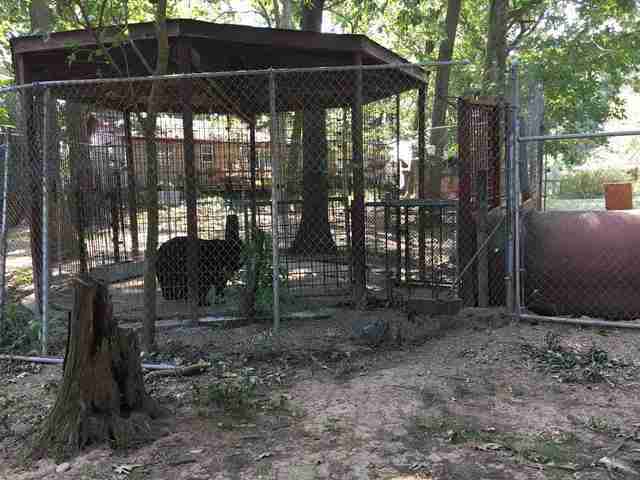 For years, most people who visited the roadside menagerie would see Lily's plight and just keep walking. But as her condition grew worse, visitors began to take notice. "Concerned citizens documented her conditions on several occasions," Peet said. "We knew we had to help her ... She was in desperate need of getting out of that place." As word of Lily's condition spread, people began to flood the zoo with messages, and share her story online. 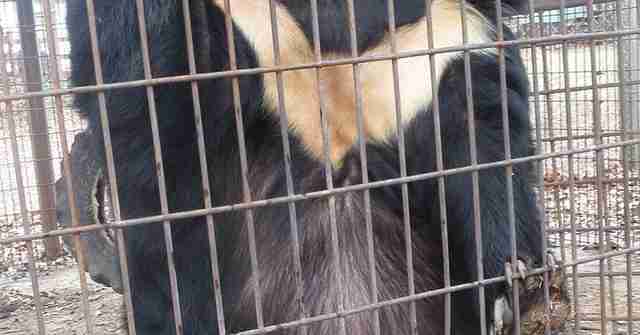 With public pressure mounting, the zoo decided to voluntarily relinquish Lily. 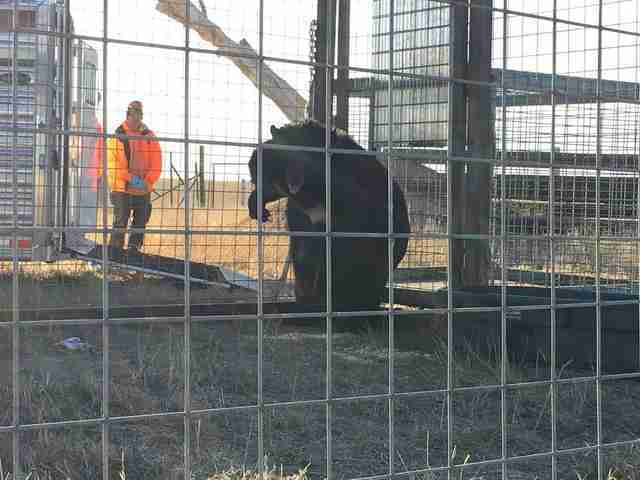 This past November, a team with PETA and Colorado's Wild Animal Sanctuary (WAS) arrived at Deer Haven to finally free Lily - and take her to to her new home. However, there are still many other animals at Deer Haven whom PETA is hoping to help - and Peet said their story is an important reminder why tourists should avoid roadside zoos. "Anyone who cares about animals should never visit a roadside zoo," she said, noting that most of them "put profit first and fail to meet the animals' most basic needs." 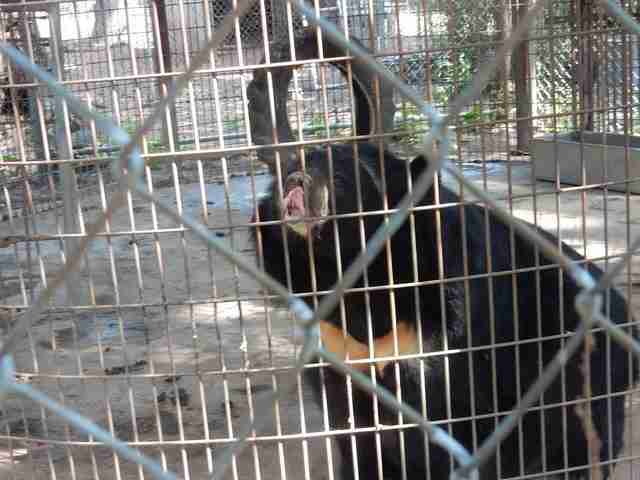 "There are several other animals still suffering there," Peet added. "The owners of the Deer Haven Mini Zoo have no knowledge or expertise relating to wild or exotic animals at all. 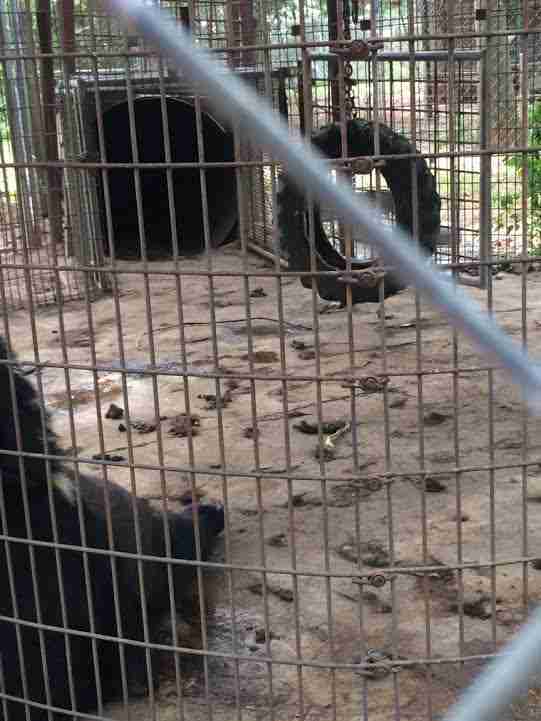 That's why we saw this morbidly obese bear and other animals ... who are in desperate need of being retired to reputable sanctuaries." But for Lily, all that matters now is that she's finally free. 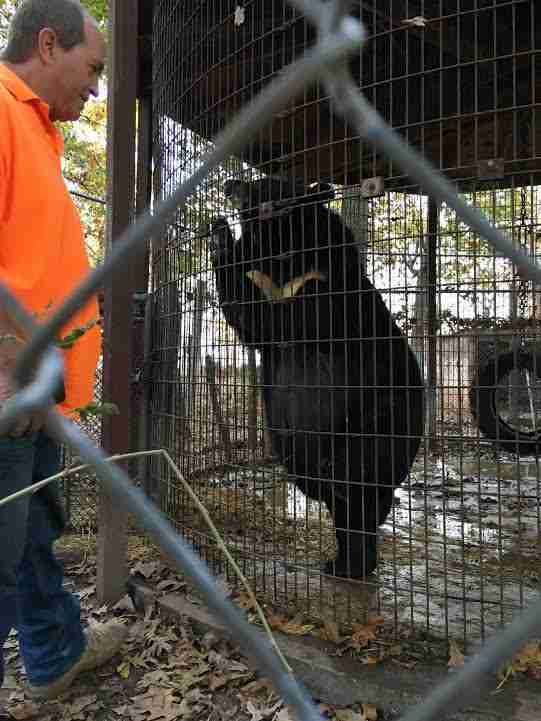 On November 4, one day after she left her old corn crib cage for good, she arrived at WAS. Pat Craig, founder of WAS, told The Dodo that Lily adjusted remarkably well considering the tiny space of her corn crib was all she'd ever known. 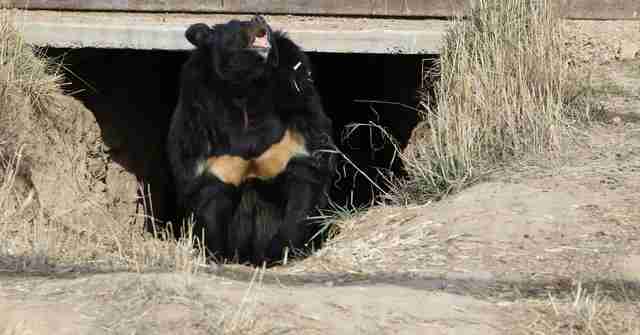 "She settled in really well - she didn't seem too upset by the move or anything else," he said, noting that she seemed to enjoy the introduction enclosure where she was able to meet the two other Asian bears she'd share her future home with. "She seems really happy." But Craig hasn't had much time yet to get to know Lily. Because a few weeks ago, with the air growing colder, she got to do something she hadn't done in years: hibernate. 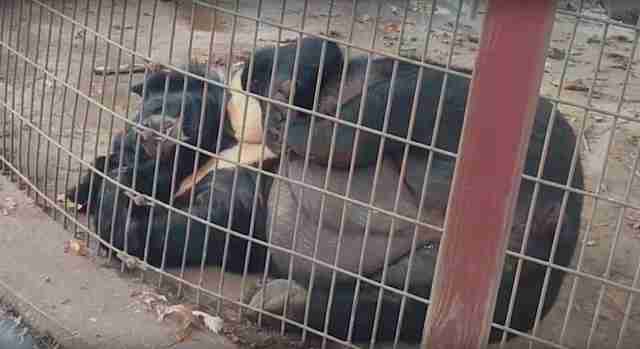 At the zoo, Lily was forced to stay awake all winter because she didn't have anywhere to go. "They had a metal tube that she lived in - that was her den - and he [her owner] said she stayed up all winter because it wasn't an adequate den," Craig explained. 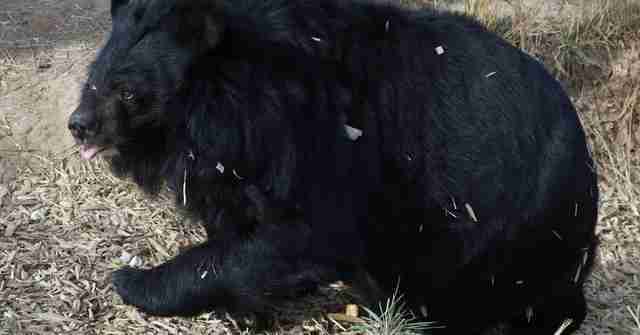 Not hibernating can have a huge effect on bears' health, Craig noted, and WAS often sees rescued bears bounce back after just one winter of proper sleep. 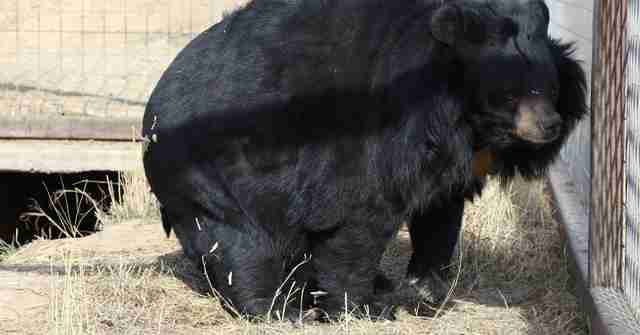 "We get bears all the time who have never hibernated before, and you can just tell that they're not as robust in terms of health," he said. "It seems to help their whole metabolism and the way their digestive system works." And while Lily's weight is still a serious concern, Craig said, hibernating should help with that too. He's hoping to see a slimmer, healthier Lily emerge in the spring. "[She was fed a] heavy diet of grains," he explained. "And then not being able to hibernate and do the normal cycle of weight loss, she just kept getting fatter and fatter every year." "That's what that body fat theoretically is for ... so I hope she will come out a lot thinner," he added. But while Lily might not be awake right now, it seems she finally knows she's safe - and when spring arrives, she'll have a whole new life to wake up to. 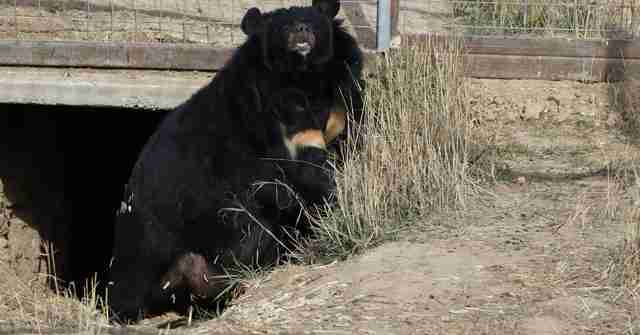 "She got out and she explored and she was finally able to live on natural terrain, which is how a bear is supposed to live," Peet said. "Lily will never know deprivation again." To help Lily at her new home, you can make a donation to her care here. 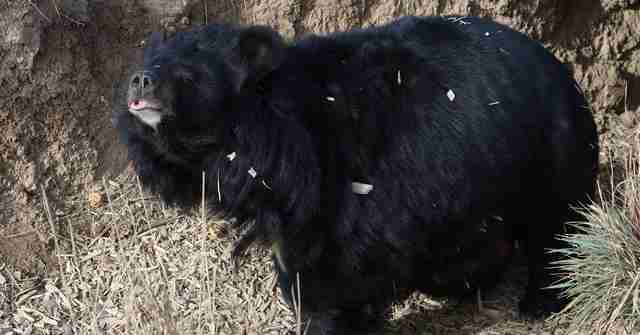 If you'd like to help other bears in roadside zoos, you can find out how here.